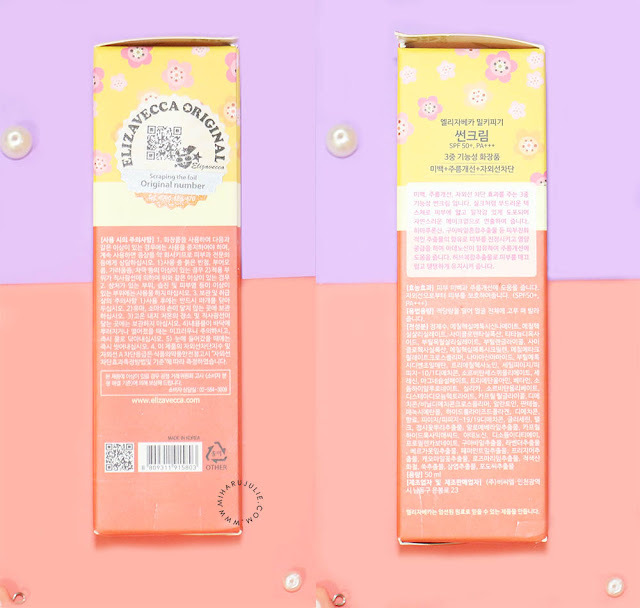 This week I reviewed three products from Elizavecca. 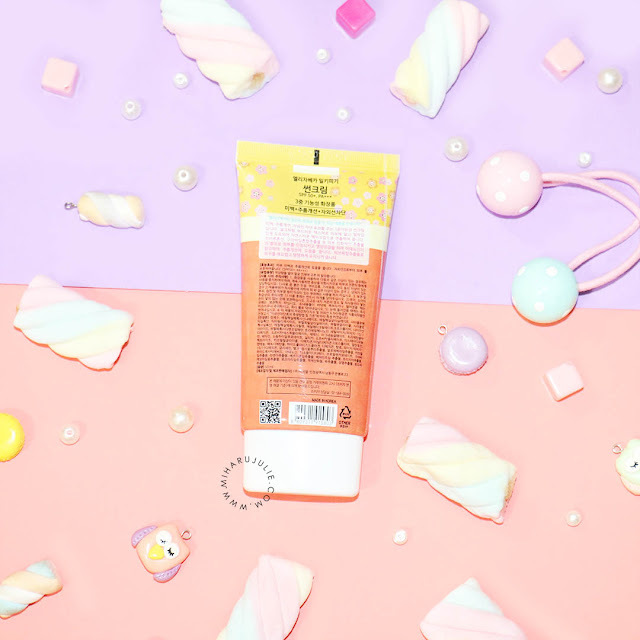 First is Elizavecca Skin Liar Primer Check the review here. Another one is Elizavecca Milky Piggy Sun and Elizavecca Milky Piggy BB Cream. 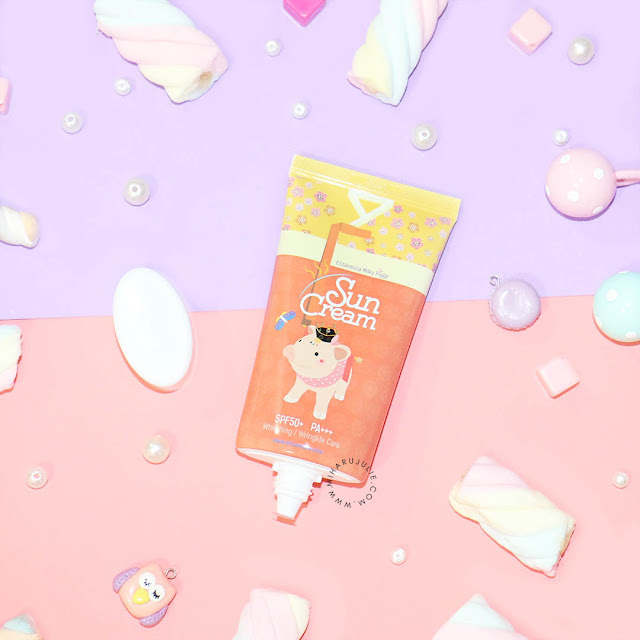 Lately, i haven't been wearing any bb cream or powder because i’m too lazy and i just don’t go out that much anymore, that’s why i started trying out different sunblocks for my face. I bought it on last month and have been using it until now. But I’m not using it every day, just when I think I need sweat/ waterproof sun screen to wear, example when I go for outdoor vacation. 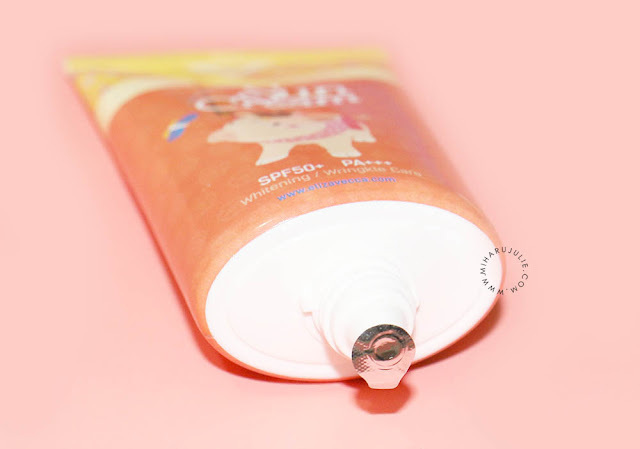 Elizavecca presents a sunscreen that can somewhat conceal some discolorations and even out your skin tone, plus helps delay wrinkles from appearing. Elizavecca Milky Piggy Sun Cream is a sunscreen that protects and at the same time beautifies the skin. Elizavecca Sun Cream has a light weight texture, coverage is medium to heavy, creamy, and spreadable. The product comes in one shade only. After rubbing it all in! Looks Elizavecca like I did not applied anything. I do not feel any dryness. Even though there’s on and off shiny-ness , it feels comfortable on skin and I did not experience tiny acne outbreaks (which is a huge plus for me!!) No stickiness as well! 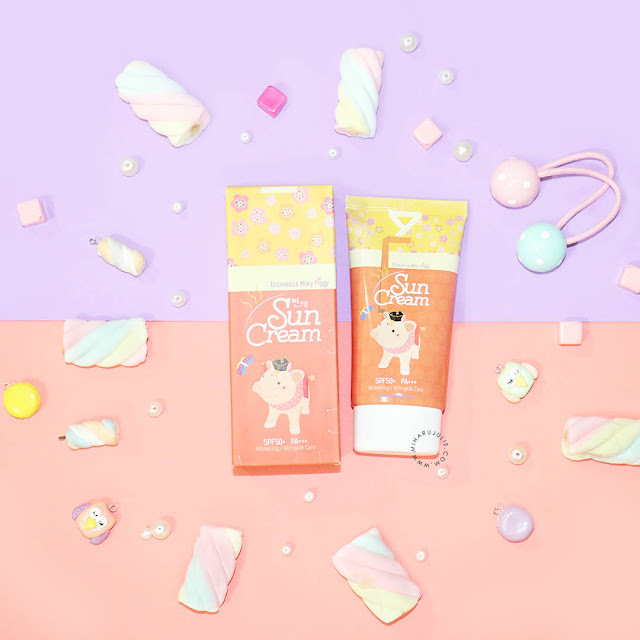 Here is a review about Elizavecca Milky Piggy BB Cream. I bought quite a while ago on Elizavecca. 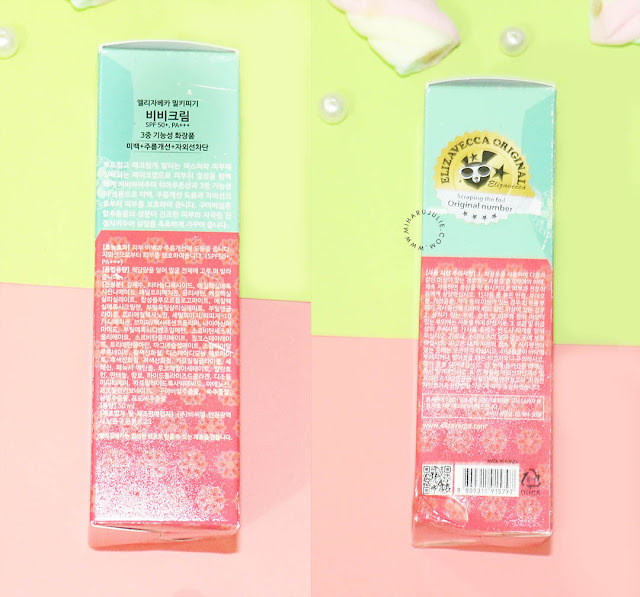 Korean products has a number of different BB creams in their current line. They all have “Whitening, Anti-Wrinkle, Anti-Darkening” properties and functions, and except for the Cover & Bright Fit, all the others look similar, have the same volume. So I was thinking, “What’s the difference? 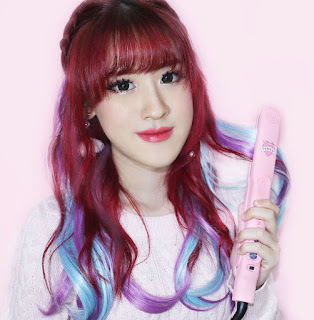 I can’t read all the Korean and all the English descriptions sound the same!” Then I thought why not try them out for science sake (hehee) to figure out the difference, and here’s a quick post based on my “research”. 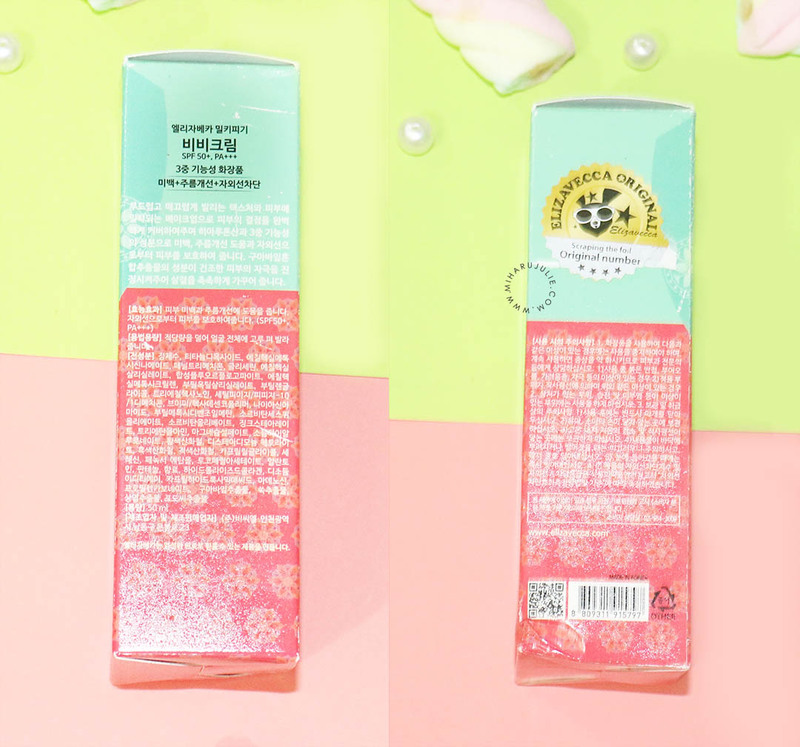 A 4 in 1 BB Cream from South Korea. This BB Cream makes your skin flawless with natural gloss and bright tone. After skin care, spread on your face evenly. First off, I’ve always been in love with the packaging of the Elizavecca. The packaging is a green and red color with cute piggy as a Elizavecca mascot. The tube is not huge, is rather small and has a good travel size though. It has a simple screwing cap. 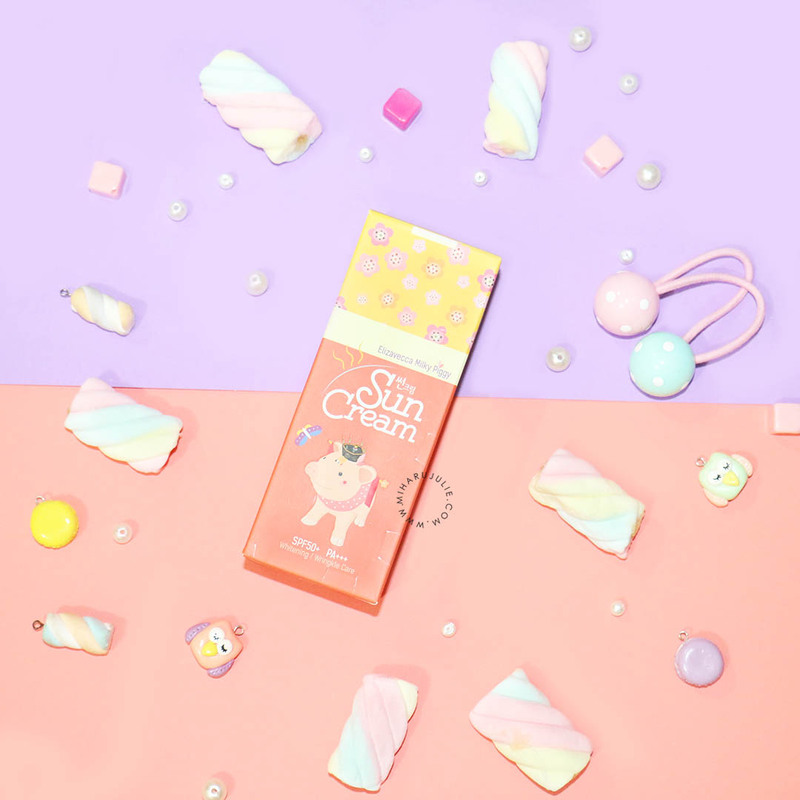 The BB cream has a creamy texture and comes in one shade only, which is a bit too dark for me at the moment. It has a good coverage and scent. It correct the tone of the skin and doesn’t sting or anything. also it gives you a dewy finish which I like. So far, it seems to be quite good. But, as I said at the beginning, this BB cream doesn’t fit my skin type at all. Despite the point that it only comes in one shade.